The best of the best in engineering have been recognised at the 2014 Sydney Engineering Excellence Awards, organised by Engineers Australia Sydney Division. Spanning 13 categories, these winning engineering projects were selected from 49 finalists by a panel of expert judges. Professional Engineer of the Year was awarded to Dr Robert Care, Principal in the Australasia Region of Arup Group who helped lead the reform of Australia’s building regulations in the 1990s and has worked on many major global railway and infrastructure projects. This year, two projects were selected as recipients of the President’s Award for displaying outstanding engineering and innovative qualities. Team UOW ‘Illawarra Flame’ Solar Decathlon Home. 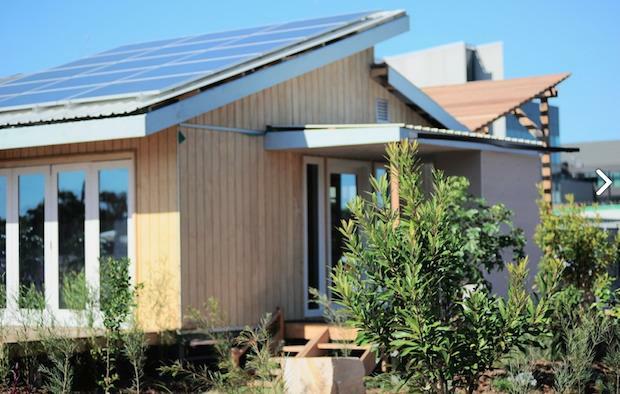 The project demonstrates how to retrofit a 'fibro' home, to transform it into a sustainable 21st century net-zero energy home. The team's aim for the project was to inspire Australian homeowners and the local and national building industry, and to accelerate the development and adoption of advanced building energy technology in new and existing homes. The Centre for Sustainable Materials Research and Technology, UNSW also received a President’s Award with joint entrants OneSteel & Brickworks Building Products for their project Green Materials – Novel processes to transform waste, automotive glass and plastics into value-added materials. The most prestigious category of the Excellence Awards is the Bradfield Award which recognises an engineering accomplishment of exceptional merit. The 2014 Bradfield Award recipient is CSIRO with joint entrants Flinders University, Flinders Medical Centre and Griffith University for Fibre Optic Manometry – A 21st Century approach to in-vivo diagnostics. Fibre Optic Manometry combines advanced fibre optic technology, high level engineering, and software design to develop a completely unique instrument for monitoring muscular activity deep within the human body. Co-founder of Open Kernel Labs, UNSW Scientia Professor and leader of the Software Systems Research Group (SSRG) at NICTA, Professor Gernot Heiser was awarded Entrepreneur of the Year, recognising his contribution to operating systems including implementations of the L4 microkernel.